A personal injury is defined as an injury in which the negligence or irresponsible behavior of another individual or business leads to serious physical disability or mental impairment, as well as the financial damages that go along with it. If you or a loved one has suffered a personal injury due to someone else's negligence, regaining your health can be a challenge. Recovering from catastrophic injuries, such as brain injuries, spinal cord injuries, burn injuries or loss of limb, can mean rehabilitation or even a lifetime of assisted care in the most extreme cases. Injuries often lead to missed work. The combination of lost wages and accumulating medical bills can be very stressful for you and your family. You have the right to pursue compensation to help you cope. 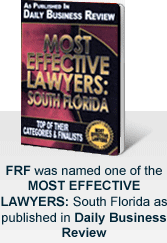 We also represent families that have lost loved ones in Naples / Fort Myers wrongful death cases. We believe that an experienced lawyer is an essential step in protecting your rights and making certain you get the compensation you deserve. Our lawyers appreciate the urgency of these situations. We will take immediate action to review your case, document important details and gather evidence. As you focus on healing, we will take the calls from the insurance company representatives and deal with all legal issues. We have helped thousands of injury and accident victims. You can be confident in our ability to do what is in your best interest, working to maximize your personal injury settlement. When necessary, we will go to trial to fight for you. Call us toll free at 877-448-8585 or contact us online to speak directly with a Naples personal injury lawyer in English, Spanish or Creole. Se habla español/Nou parlé Creole. We are available to assist you 24/7.